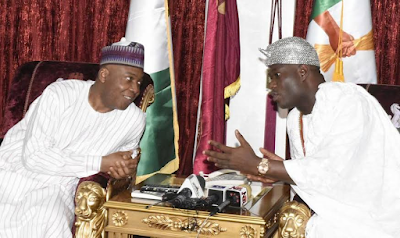 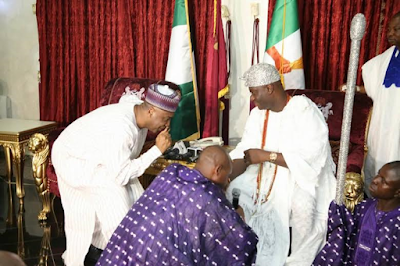 Welcome to Mercy Ebute's Blog: Photos:Ooni of Ife, H.R.H Oba Adeyeye Ogunwusi visits Senate President, gifts him with a made in Nigeria product. 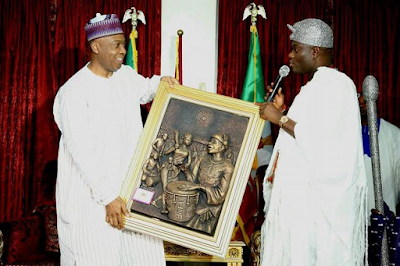 Photos:Ooni of Ife, H.R.H Oba Adeyeye Ogunwusi visits Senate President, gifts him with a made in Nigeria product. 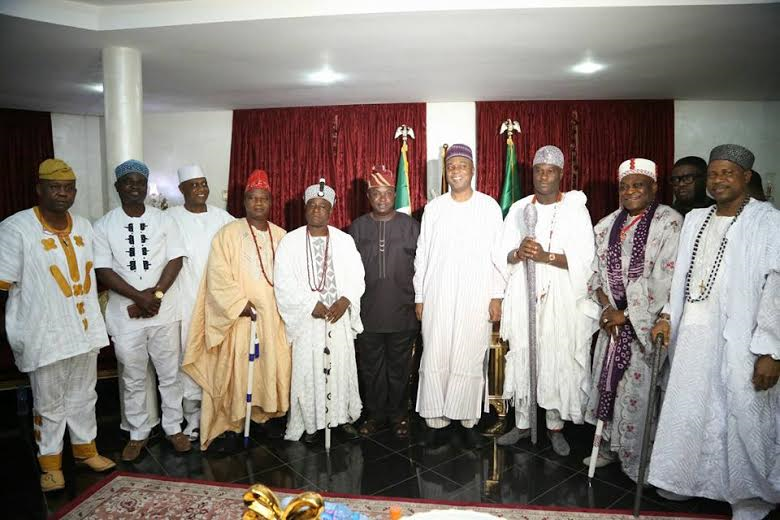 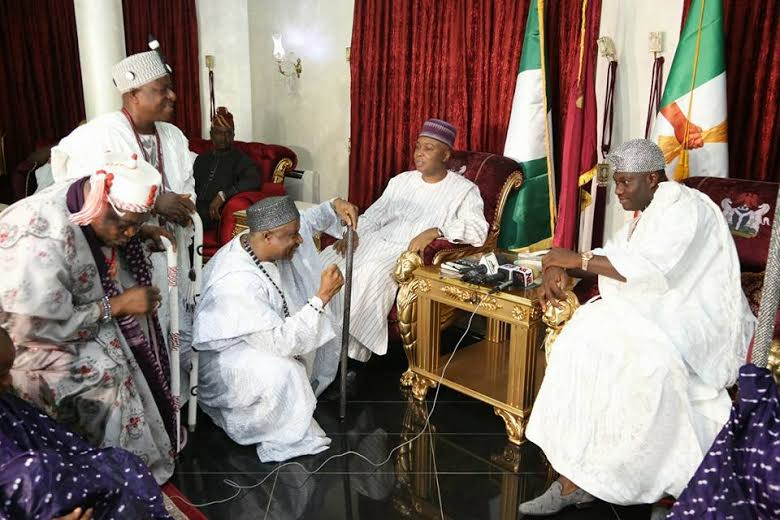 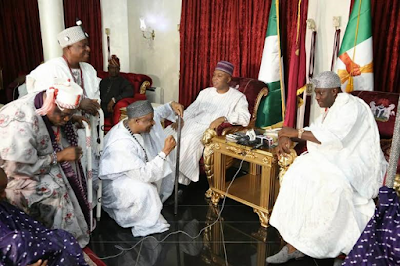 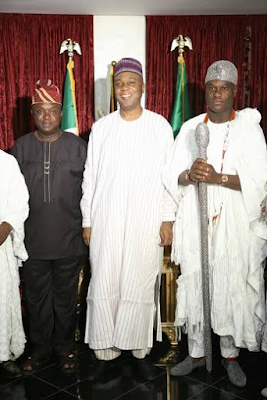 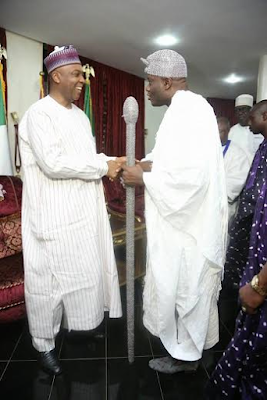 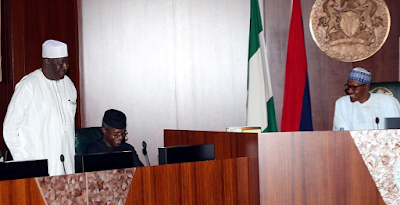 The Ooni of Ife, Oba Adeyeye Ogunwusi paid a visit to the Senate President Bukola Saraki on Wednesday, February 17 in Abuja.